My little 1 year old grandson. 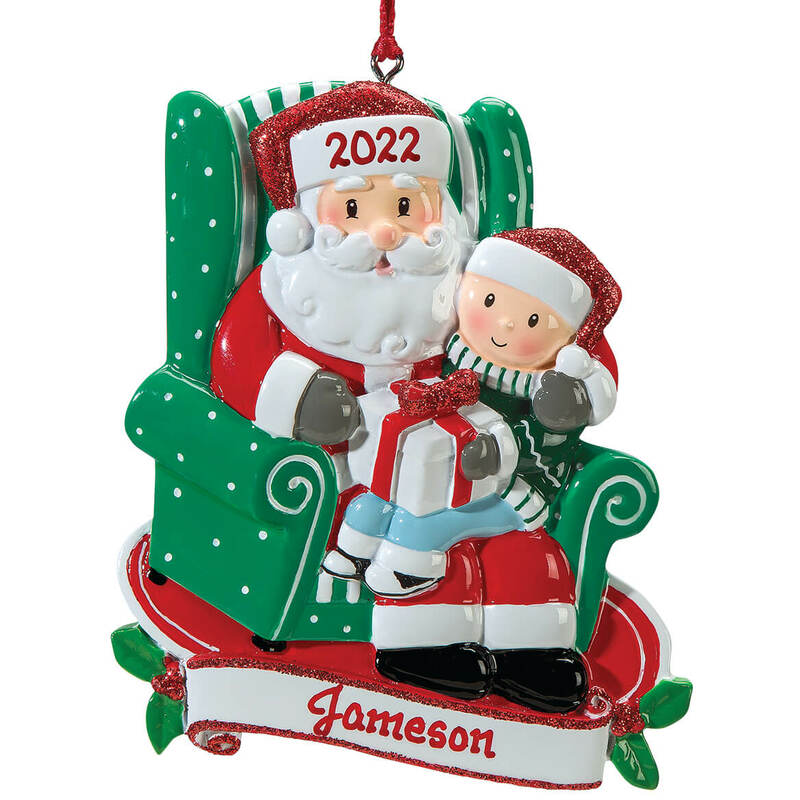 Give grandkids an ornament every Christmas for their tree. 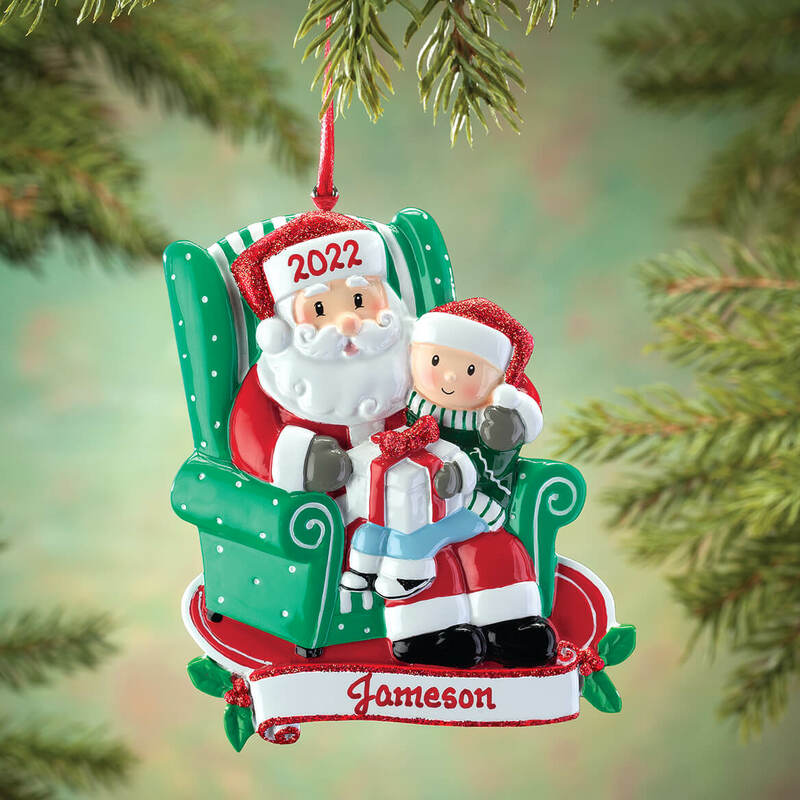 Someday they will have the ornaments for themselves. Best place to find them. do you have a black child sitting on Santa's lap? BEST ANSWER: Thank you for your question. Unfortunately no we do not carry that style. We hope this information will be of help to you.